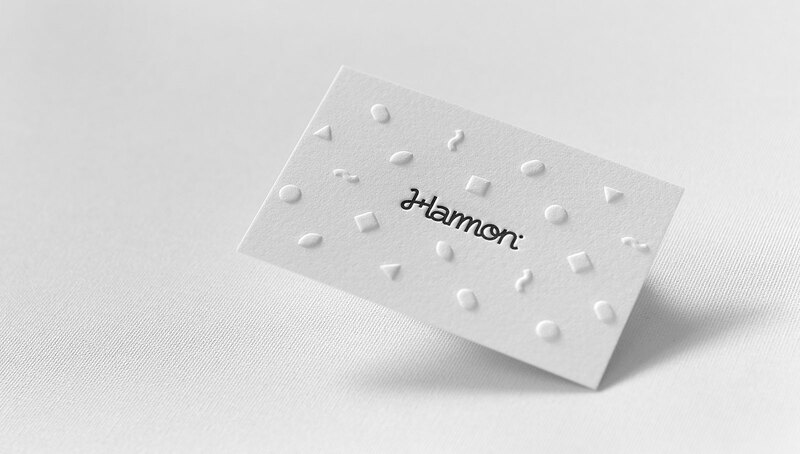 Kevin Hamon designed these business cards for his personal branding as a digital designer. According to Kevin, the idea of the design was to make something both minimalist and playful. “I started by played around with simple geometric shapes (reference to Character Design) and laid them out in a grid. 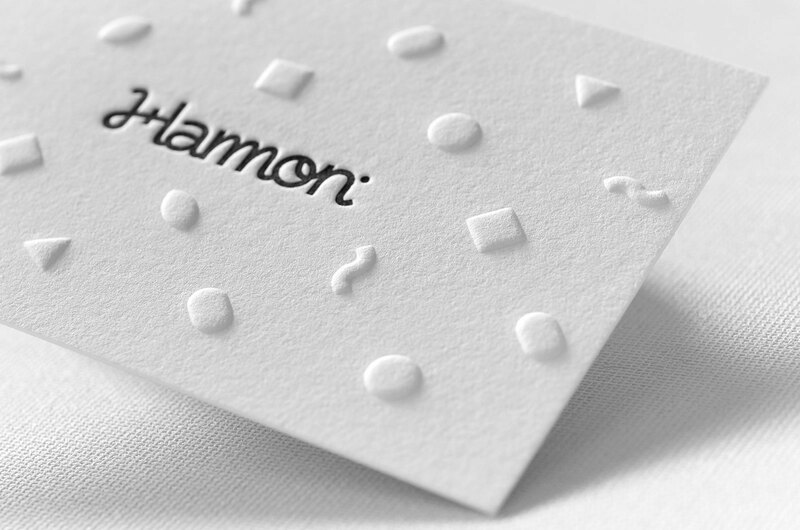 Blind deboss allowed for a tactile recto/verso design without using any additional colours.” Kevin said. These popped out (embossed) shapes symbolize Kevin’s creative style. It’s indeed a special card with both sides printed with minimal info: a logotype and two lines of contact information respectively. 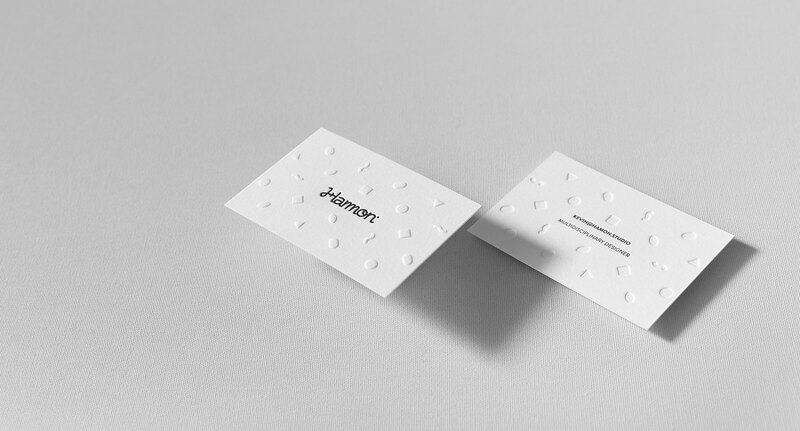 These beautiful letterpress business cards are 84mm x 55mm. They were printed on 430gsm, 100% cotton white paper by Elegante Press – a recommendation made by Kevin’s Lithuanian friend who had hers done by them before.